Women waiting to receive care in the hospital. However, there were huge outcries following the signing of a piece of paper which today is preventing millions of women around the world from deciding what they can and can’t do with their own bodies. The reality of the thought that the powerful white man in the White House has effectively signed the death warrants of thousands of women is staring the world in the face. It is now clear that with one devastating display of his presidential ink, President Trump reversed global progress on contraception, family planning, unsustainable population growth and reproductive rights. His executive order even has implications for the battle against HIV, tuberculosis and malaria. The policy has shut HIV programmes in Mozambique and health clinics in Uganda; it has compelled women from Nepal to Namibia to seek out deadly back-street abortions. In Nigeria, the ugly tale of GGR devastating impact is not different as health care workers say the policy has had disastrous effect. As expected, clinics are shutting down, unsafe abortions are rising sharply and families are losing critical services. While there is no available data on deaths directly linked to the policy, providers do have estimates of how many life-saving procedures could have been offered by the funding they are now denied, and the numbers are in some cases staggering. Reacting, Professor Innocent Ujah, a Professor of Obstetrics Gynaecology, notes, “Unfortunately, the cut of fund for life-saving services by the US government under the GGR of Trump’s Administration will further worsen the maternal morbidity and mortality indices in all the developing countries of the world, Nigeria, inclusive. Faulting the current abortion laws in the country, Ujah who is also Consultant Obstetrician and Gynaecological Surgeon, in an interview with Daily Independent, says they are very restrictive, as abortion is allowed only to save the life of woman. 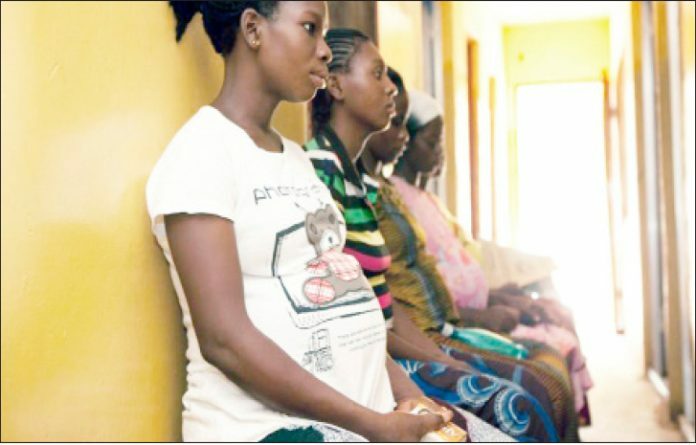 The don currently with Department Of Obstetrics and Gynaecology, University of Jos and Jos University Teaching Hospital, Jos, Plateau State, laments, “Unfortunately, many young girls and even married are dying in large number in Nigeria from unsafe abortion that is clandestinely performed by quacks. On her part, Dr Abiola Akiyode-Afolabi, Women Advocates Research and Documentation Center, (WARDC) Lagos, laments, the GGR rule has penalised hundreds of Non-governmental organisations(NGOs) and the women they serve in nearly 60 countries across the world. Akiyode-Afolabi who spoke during a recent training of the Network of Reproductive Health Journalists of Nigeria (NRHJN) in Ibadan, Oyo state, decried the rate of illegal abortion, saying “GGR has destroyed the world and killed women who are at the receiving end. “Of the 40 to 60 million abortions that take place annually, at least 20 million are per- formed under unsafe, illegal conditions and up to 50 per cent of these women require follow- up gynecological care. Bemoaning the impact of unsafe abortion in Nigeria, she says; “Millions suffer permanent physical injuries, and at least 78,000 women die. Most of these deaths are preventable, and occur in countries where access to abortion is highly restricted or illegal altogether. “The U.S. government is complicit in these preventable injuries and deaths due to President Trump’s decision to reinstate the global gag rule,” she maintained. “The restrictive abortion law means most abortions are clandestine and “very frequently unsafe,” Akiyode-Afolabi adds. Painting a gory picture of the consequences, she states; “As a result, one quarter of all Nigerian women who have had an abortion report moderate or severe complications, and two thirds of women who have an unsafe abortion experience serious health consequences. “”Every year, hospitals in Nigeria treat approximately 142,000 women and girls for complications resulting from unsafe abortion. Based on recent reports, between 10, 000 to 34,000 women in Nigeria die annually as a result of unsafe abortion. “Even where a woman obtains a legal abortion at a health care facility, inadequate staffing, training and equipment expose women to unnecessary risks. Among those who have an abortion performed by a physician, a large number developed complications and sought post-abortion care, indicating that the performing physician was not well-trained in abortion services. “The government, however, in its current report to the African Commission failed to include information regarding the number of deaths as a result of unsafe abortions and the measures it is undertaking to reduce this rate by ensuring women’s and girls’ access to safe abortion,” she notes regrettably. She insisted that GGR is harm to women’s reproductive health. He charged the Federal, State and local government to fill the gap of international donors to provide modern contraception in the country, by increasing the budget line for family planning commodities for women and girls, emphasising that once this is done, Nigeria’s MMR will reduce as well as unintended pregnancies. Giving a breakdown of the department’s budget from 2017 till date, Oludara says; “In 2017, the allocation for FP was N27 million, while this year we have increased it to N186 million. That increase in the allocation came about as a result of the Global Gag Rule. “Lagos State need to harness its demographic dividend by reintroducing FP in the services to this huge population, we will be in trouble if the population end up having unwanted babies. “The GGR will awaken Nigerians to embrace family planning and the National Assembly to look at the country’s domestic law, it doesn’t encourage abortion unless it endangers the life of the woman,” she adds.